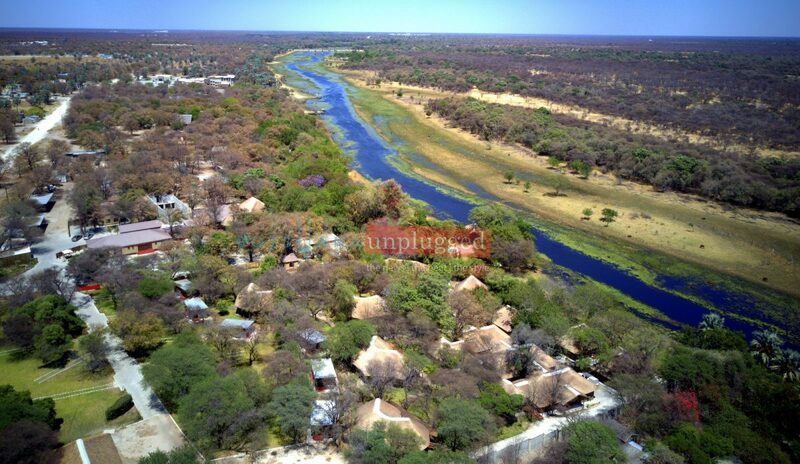 There’s something truly magical about Botswana’s tourism capital Maun (mau-uunn). 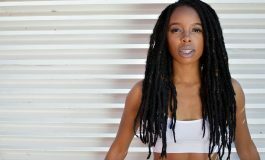 As a town on the Thamalakane River in northern Botswana, this place is always lit and Goals AF, (in millennial’s speak) and it’s the jumping-off point for the vast inland Okavango Delta, which becomes a lush wildlife habitat during the seasonal floods. 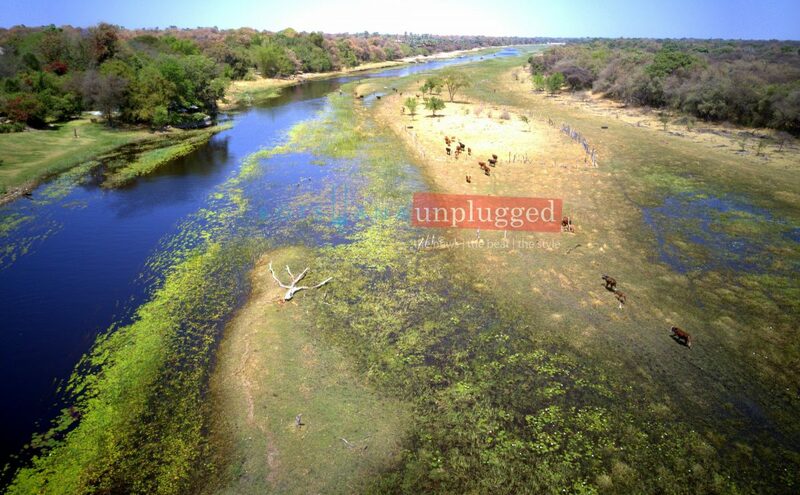 In the delta, safari camps dot the Moremi Game Reserve, which is home to hippopotamus, lions and rhinos. In the town, the Nhabe Museum features local art, plus history and culture exhibits about the surrounding Ngamiland region. 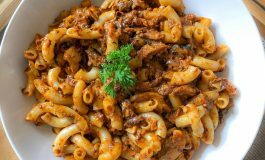 Maun lies on the southern fringes of the Okavango Delta, and still, despite recent modernisations, carries the feeling of a dusty, frontier town. 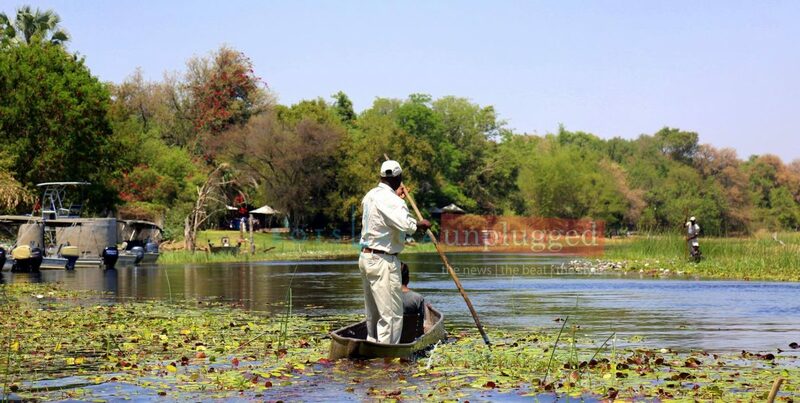 For many tourists, Maun is the point of entry into the Delta, and often into Botswana, with direct flights from both Johannesburg and Gaborone. 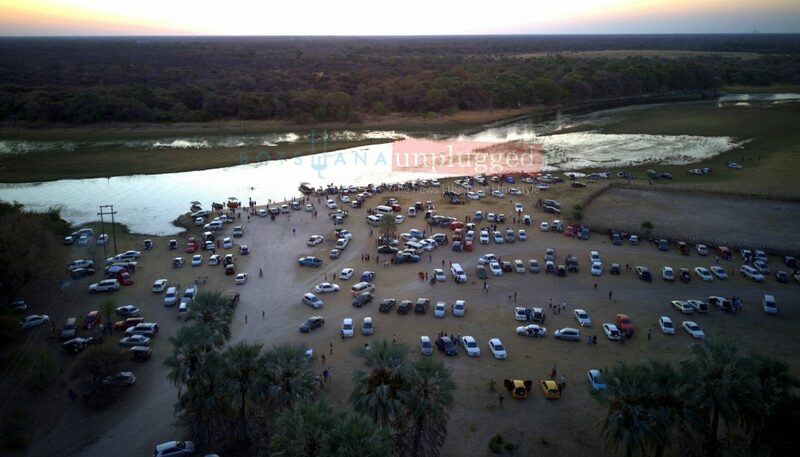 Well this past weekend #BotswanaUnplugged had an inspired and ebullient time at the inaugural Nkashi Classic courtesy of Botswana Tourism Organization (BTO), a company set up by the government to market tourist products and to grade and classify tourist accommodation as well as to promote investment in the tourism sector. 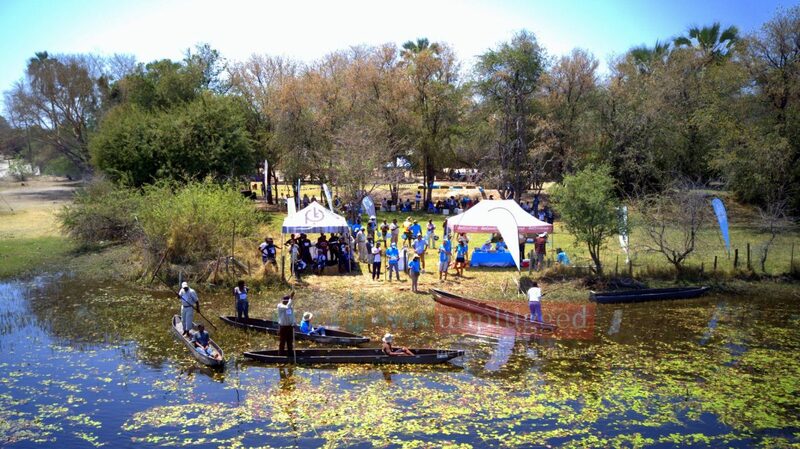 The Nkashi Classic was launched for the first time this past Saturday in Maun as a celebration of the mokoro and the nkashi which is used to propel it. 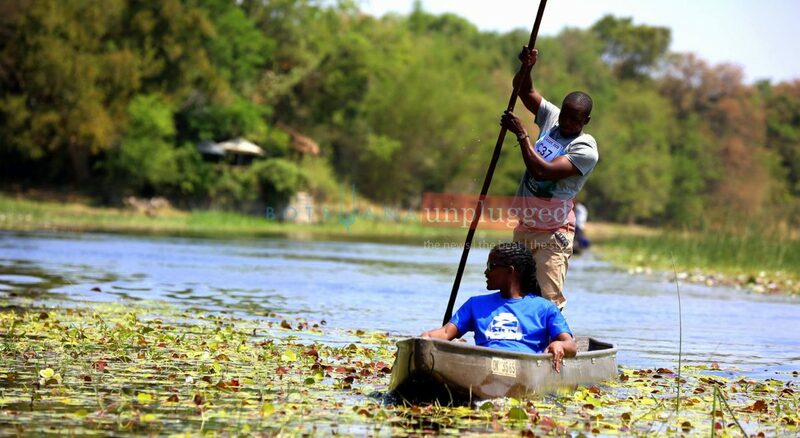 The colourful mokoro racing affair took the form of an individual time trial; each poler dashing along a set course on the Thamalakane River. Quite stirring was the overwhelming attendance by the locals, who came from all walks of the Ngamiland District life. 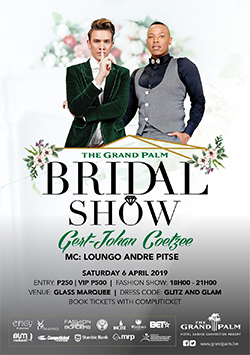 The organisers seemed well prepared and organized as each and every person knew what to do and how to do it. 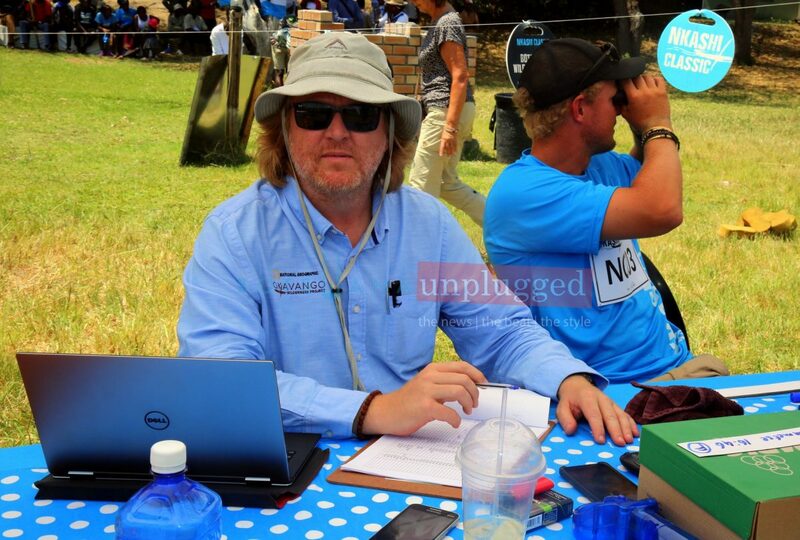 To make the germinal Nkashi Classic even more interesting, there were several key race officials and director who monitored and controlled the activities of the polers to ensure the smooth and safe running of the event in accordance with Nkashi Classic 2018 regulations. 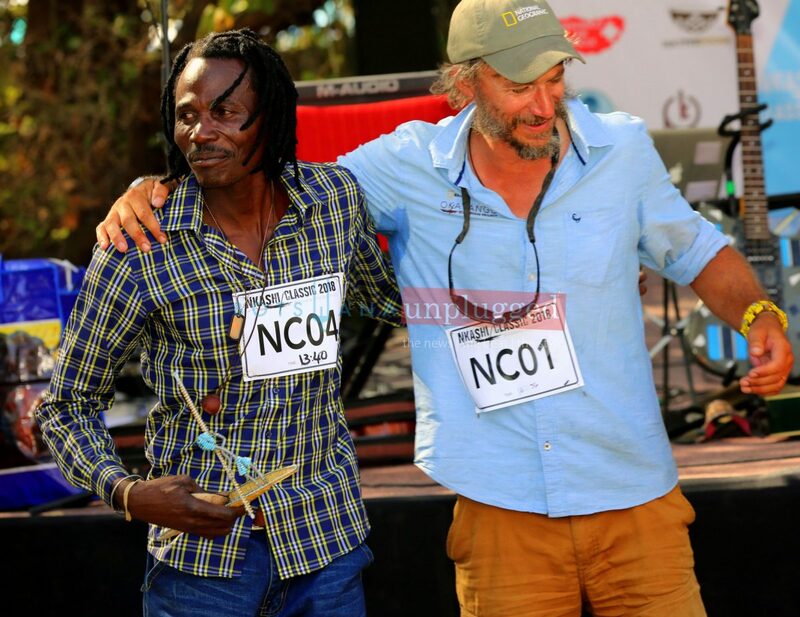 Timing was kept, and at the end of the day, the Delta’s fastest mokoro poler was crowned! This was none other than Ralph Moshupa who had clocked a time of 13:40s followed by Lasty Kedisa (13:41s) and Kaone Motlalekgosi settling in at position 3 with a time of 13:53s. 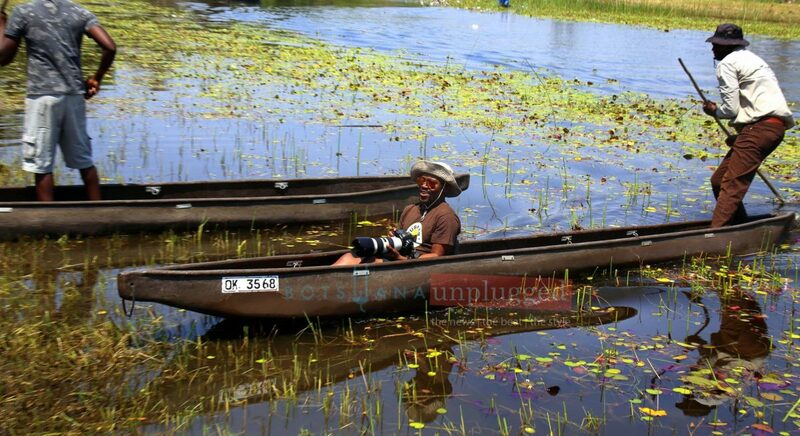 This was a well-deserved win for Ralph – a man who has navigated the depths and breadths of the vast Okavango Delta and Thamalakane River since he was a mere 3-year-old boy. 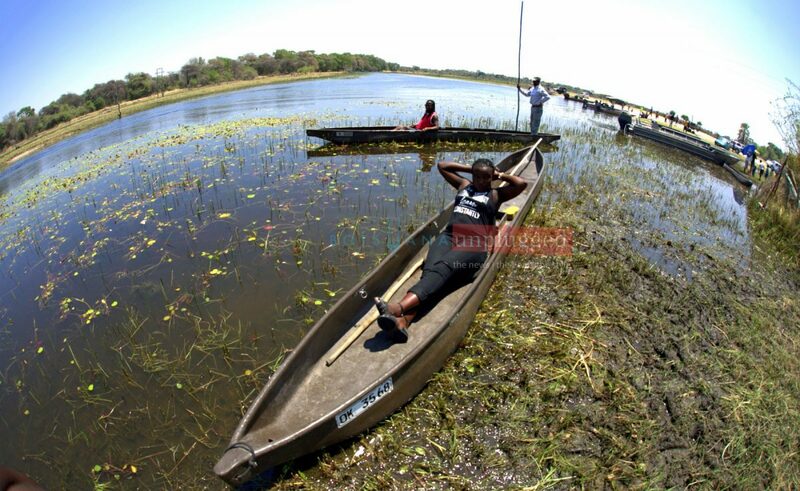 Surprisingly though, Seitsane ‘Sea Company’ Boitumelo – a revered figure in the mokoro affairs who has thus far earned himself the moniker “The GPS of the Okavango Delta” thanks to his sizeable poling experience came in at position 10 after he clocked 14:37s. However, he was also bestowed with being “Fastest Veteran (over 50)” while the fastest female award went to Grace Thaba who recorded 16:29s. 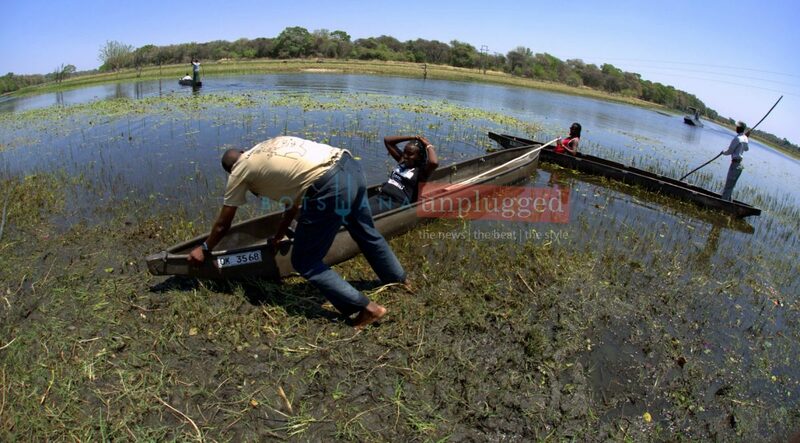 According to the Trustee: Botswana Wild Bird Trust and National Geographic Okavango Wilderness Project (NGOWP) Project Director, John Hilton, the Nkashi Classic was born out of many discussions around the campfires where their team of scientists, explorers and the BaYei guides who accompany them decided that the mekoro should be celebrated. 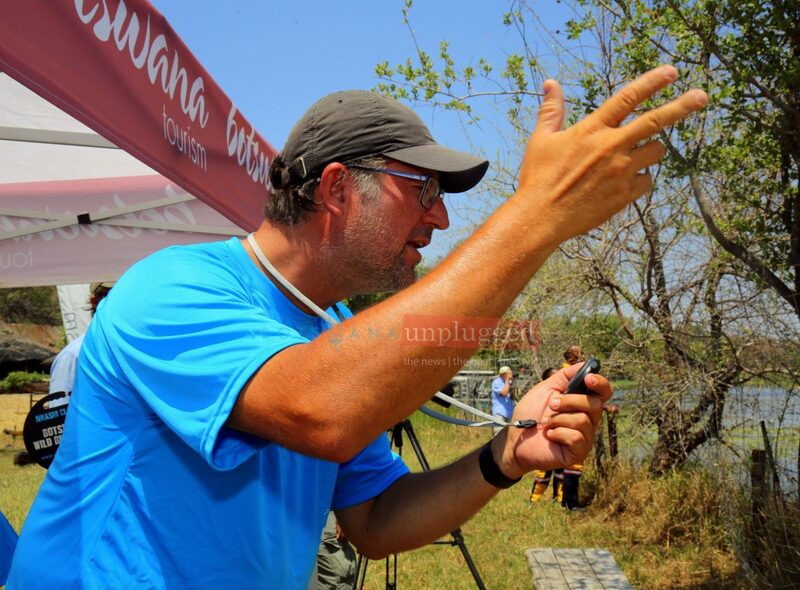 The event was conducted by the Botswana Wild Bird Trust, who, in partnership with the National Geographic Society, run the National Geographic Okavango Wilderness Project (NGOWP). 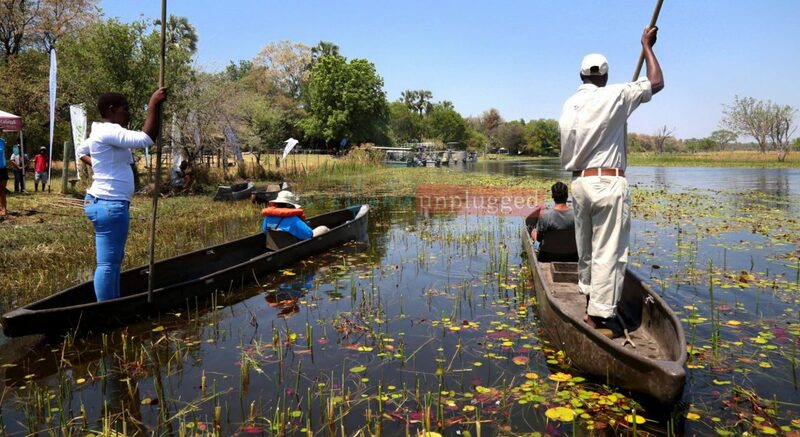 The NGOWP is a 3-year project, launched in 2016, that seeks to explore and research the upper catchment of the Okavango River Basin to better understand how to protect the sources of the river, and thereby the system as a whole and the Okavango Delta in particular. 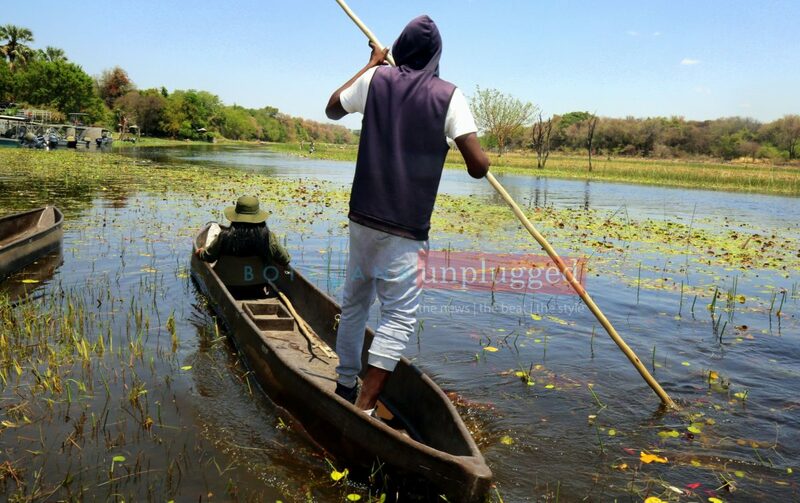 “In the past 3 years the NGOWP has conducted 9 expeditions in and around the Angolan sources of the Okavango River Basin, surveyed 6,000km of rivers using only traditional fiberglass mekoro. 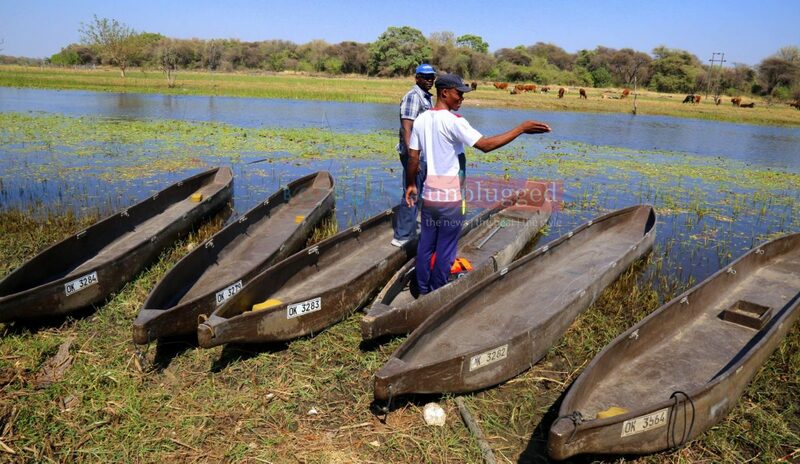 Polers from Botswana, Namibia, Angola and even Zambia have accompanied the team as river guides and all using one common water craft; the mekoro poled with an “nkashi” of one form or another,” said Hilton. He added that the NGOWP has demonstrated the precious nature of the wilderness that is the source of the Okavango River, and through innovative science and research will be able to present its scientific findings to the Governments of Angola, Namibia and Botswana in order that the 3 governments are better informed with empirical scientific data related to the shared water resource that is the Okavango River. The project has discovered 24 new species to science and contributed to the expansion of species list and range extensions for Angola. 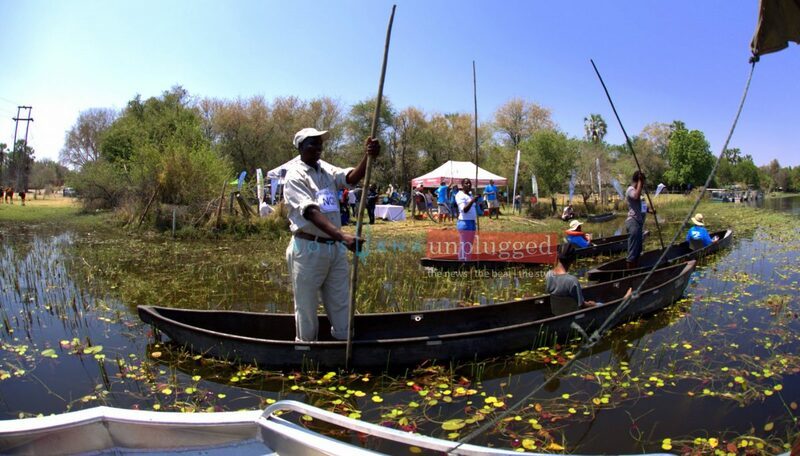 Furthermore, Hilton noted that the Botswana Wild Bird Trust has joined forces with Botswana Tourism Organisation, Okavango River Lodge and numerous other local Maun organizations for the inaugural Nkashi Classic with the hope of seeing the event grow from strength to strength as an annual event on the Maun calendar. 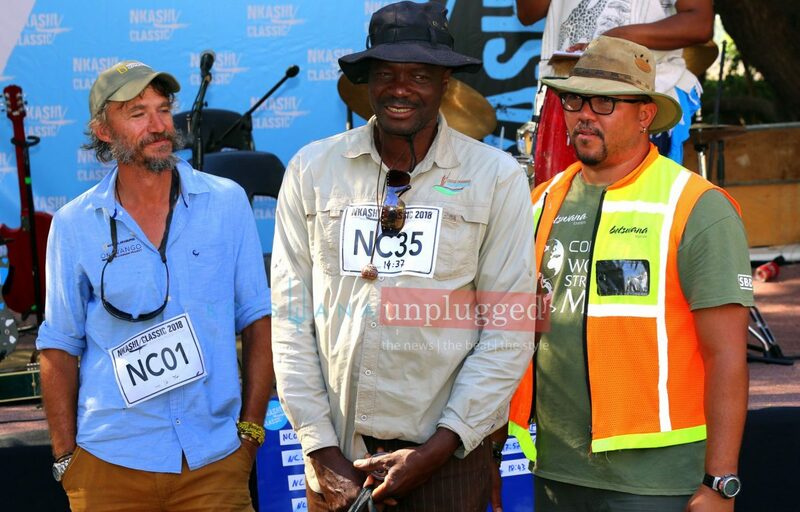 The Nkashi Classic champion won a brand new mokoro sponsored by the OKAVANGO WILDERNESS PROJECT, P500 voucher from DELTA MEAT DELI, Fishes of the Okavango Delta book from BOTSWANA WILD BIRD TRUST, Memory foam pillow from MEDOPP, Backpack and Cap from RILEYS, Handy Lantern from SOLAR ZONE, Water Bottles Flask from RILEYS, P100 Airtime from OWS, Nkashi Classic keyring and mat from BOTSWANA WILD BIRD TRUST, Meal for 2 from KANA JANG, Plastic container from SPAR and edible goodies.